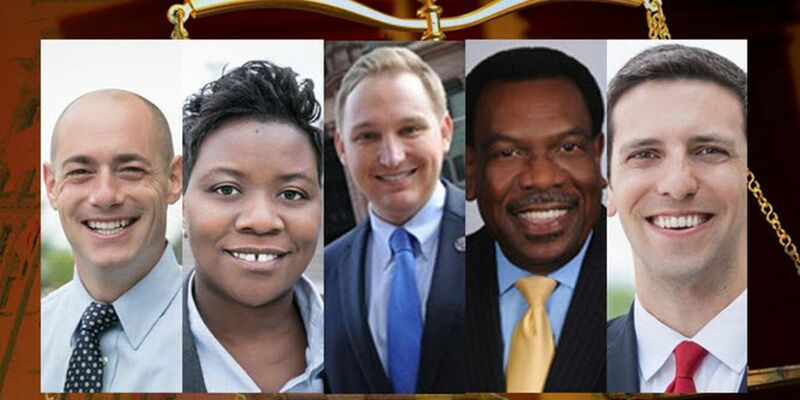 CINCINNATI, OH (FOX19) - There’s evidence to indicate Cincinnati City Council’s so-called “Gang of Five” knew they were violating the state’s Open Meetings Act at the time they privately discussed public business via secret texts and emails, State Auditor Keith Faber said Tuesday. If that’s the case, there’s likely going to be findings for recovery, he told FOX19 NOW in an interview. A special audit appears imminent to determine whether there will be findings for recovery against the five council members: P.G. Sittenfeld, Tamaya Dennard, Chris Seelbach, Greg Landsman and Wendell Young. Findings for recovery are assertions public money was misspent and must be repaid. Faber said he’ll follow what the experts recommend, but consensus among his staff now is “probably doing this as a special audit” and he’s leaning toward it. A special audit is cleaner, faster and would allow them to focus solely on those details, he said. “I think the citizens of Cincinnati and, frankly, in all the local areas, need to have confidence that their elected officials are operating in the light of day," he said. Faber’s office has been looking into into public records and public business being conducted in the open in Cincinnati, particularly as it relates to Council following the state’s Open Meetings Act. An anti-tax activist filed suit last year to obtain the majority of council’s secret text messages about public business. The lawsuit describes the Democrats as “a cabal of five rogue members” of council holding illegal, secret meetings via email and text messages to discuss Mayor John Cranley asking the then-City Manager Harry Black to resign in violation of Ohio’s Sunshine Law and the city charter. The city, or taxpayers, forked over $101,000 in a settlement in the case last week, $90,000 of which went to Mark Miller’s legal fees at the Finney Law Firm, which was founded by the same man who began Coalition Opposed to Additional Spending and Taxes (COAST), Chris Finney. The city was also billed more than $70,000 in legal fees from outside lawyers to represent the Gang of Five, on top of city attorneys spending 450 hours on the case, city records show. Brian Shrive, one of Miller’s attorneys, says it’s nearly $1 million when you also figure in all the costs associated with Black’s resignation, when he quit in April 2018 and then a payout from the city six months later to avoid a lawsuit. Black and Cranley originally worked out a deal where he would quit with $274,000 severance in his contract and agree to leave with a release of all claims against the city in exchange for a total payment including the severance of $423,000. But Shrive says that’s when the Gang of Five began its work in earnest to oppose that agreement. They put out a news release rejecting it and that sparked Miller’s interest because he suspected, correctly as it turns out, the majority of council had communicated and decided that city business in private. Shrive asked for their emails and texts on Miller’s behalf. They sued, however, when the city produced some records showing illegal meetings occurred, but Miller didn’t receive the texts and some additional emails he requested. By that point, a major public feud had erupted at City Hall between the mayor and city manager. Both alleged wrongdoing against each other, and the majority of council didn’t want to fork over a huge payout. Various council members also said at the time they felt allegations the men were making against each other should be looked into. The dispute ended about six weeks later when Black lost the majority council support in the fallout over 16-year-old Kyle Plush’s death. Black quit, literally minutes before a special City Council meeting convened to terminate him. He left with the $274,000 in his contract -- but then collected another $370,000 later that year after his lawyers threatened to sue the following month -- a total of $644,000. Faber noted Tuesday that in the midst of the Gang of Five privately deciding public city business, they joined their colleagues to designate their council clerk as the public records training designee representing them and the mayor for the 2018-2022 term, city records show. State House Bill 9 requires all elected officials to attend public records training offered by the Ohio offices of the Attorney General and Auditor or to assign a designee to represent them. Each elected official is required to attend the three-hour records training session each term in which they are elected to serve in office if a designee is not assigned, a copy of City Council’s March 21, 2018 motion shows. FOX19 sent Faber’s office an email March 15 inquiring about the ability to designate someone to undergo training for elected officials. We also forwarded a copy of Council’s motion and asked if that policy should continue in light of the Gang of Five case. In response, his spokeswoman, Allie Dumski, wrote: “Auditor Faber is certainly interested in working with the General Assembly to make sure the people most in need of public records training are receiving it." On Tuesday, Faber told us that is in process right now. “We’re having a conversation with our legislative friends and your legislatures in particular about whether or not the ability for public officials to designate somebody to do the sunshine law training and open records training for them is something that should be continued to be allowed," he said. "During the Gang of Five, literally while they were texting and conducting business via text message, they literally designated the clerk for their official for compliance with the state’s Sunshine Law and open records training. Maybe we shouldn’t have elected officials designating someone for them.